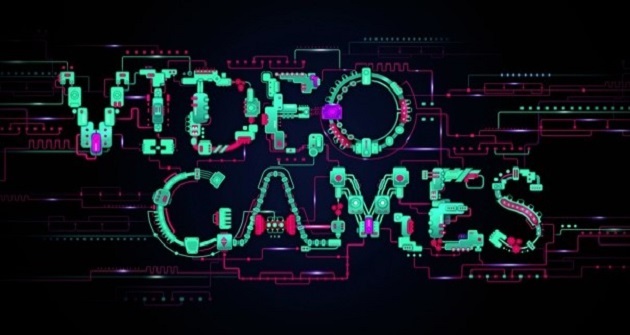 If you play video games, you’ve probably imagined creating your own video game from scratch – including the storyline, characters, leveling systems and the rest of your game’s mechanics and universe. There’s also a good chance you’ve dreamed of one day working for one of the top gaming companies in the world, whether to add your own iconic twist to upcoming fan favorites or to join a team of cutting-edge video game developers. Both of these goals are great, but let’s first take a look at the hard truth of the matter. Becoming a professional coder or game designer takes a certain set of skills. You either acquire these skills by learning them on your own, or you obtain them through a college education, which may feel like a fairly steep gradient if you’re not really sure yet if the profession is right for you. Let’s assume by reading this article that you’re ready for either of these choices. Really, making your own video game can be a lot of fun, even if you don’t plan on joining Rockstar Games or Infinity Ward. And if you do end up deciding to join the video game big leagues, then you’ll certainly need to start somewhere, which is why we’re going to show you 3 of the best FREE tools you can find on the web to get things going. No matter what type of video game you’re interested in creating, Sploder has a designing platform for that. From Retro Arcade and Platformers to Physics Puzzles, Shooters and 3D Adventure games, Sploder gives you all the tools you need to build an online video game of your choosing. The benefit? You won’t need to know any programming languages. You also won’t have to spend hours learning how to use complex software to make a finalized and playable video game to share among your friends and other Sploder members. All you need to begin is a Sploder account and a creative imagination – everything else is at your disposal. Searching for something a little more complex but ultimately much more rewarding? Then Unreal Engine 4 will undoubtedly take your video game creation skills to the next level – and potentially put you on the map as a bona fide video game designer. Games such as Fable Legends, Tekken 7, ARK: Survival Evolved and Gears of War 4 were put together using Unreal Engine 4 software, so you know it’s one of the most elite game development tools in the industry. And the best part is it’s FREE to use just by signing up for a download of the software. The only caveat to this is if you end up creating something that makes money, Unreal pockets 5% of the revenue once your game generates more than $3,000 in sales. When it was launched in 2005, Unity 3D probably didn’t foresee the gaming community turning them into one of the most sought after multiplatform development companies in the country, since they really didn’t explode in popularity until 2012 with the launch of version 3.5. Yet, Unity 3D’s reputation is largely bolstered by their intuitive interface that suits both beginners and advanced designers alike, as well as their catering to nearly every platform available in the gaming sphere. While the Personal Edition is free to download, there’s also a Professional Edition and Enterprise Solutions Edition which offers a tailored setup for company-wide development.